This linen covered the high-contrast print better than we anticipated, so an underslip was not necessary. 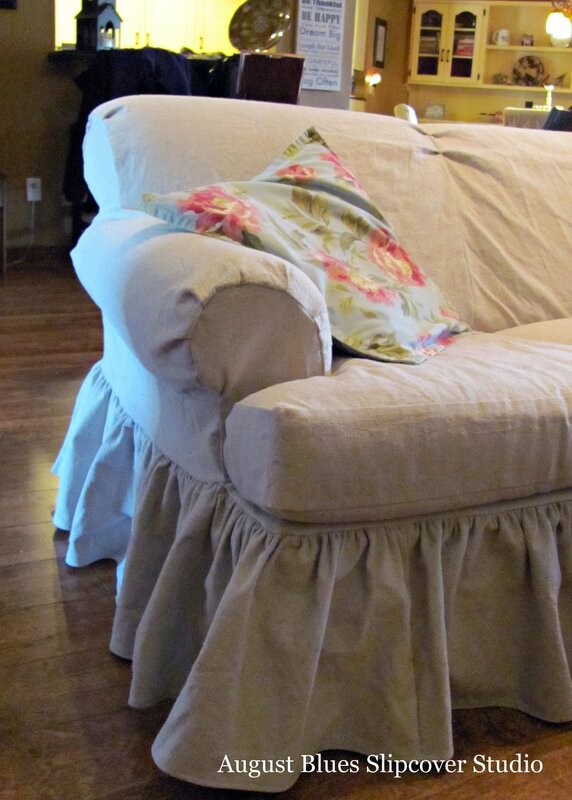 My client loved the double corner pleats I had done on a chair for my Mom, so we did the same here. And I left them unpressed to add some feminine flair to the simple design. As these chairs may go back to their printed version at some point, we left the back cushions attached, and just covered them all in one piece. And now these pieces are ready to take their place, just in time for the holidays. Do you have any linen pieces in your house?